"Krampus" was a hoot. Of course you have to go in with the proper attitude. 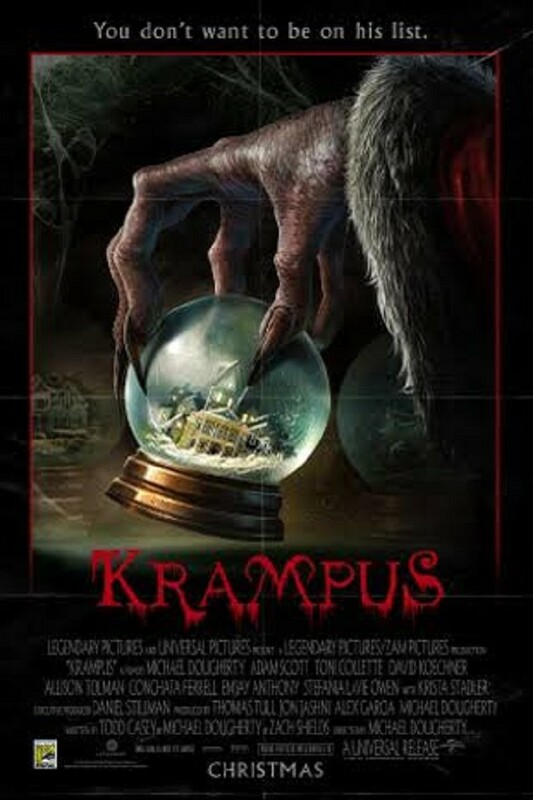 Krampus is the Christmas Antithesis of Santa Claus. If someone looses the Christmas Spirit they are "removed". There is a family consisting of both parents, a boy, a girl and a grandma from Germany. Krampus is celebrated in the German block of countries. His grandma explains what is happening and who is causing it. An aunt, uncle and three cousins and a great-aunt come for Christmas. For the first half hour it seems like you're watching Chevy Chase's "Christmas Vacation". Soon the main boy, Max, gets teased mercilessly about believing in Santa by his cousins. He then disavows Santa and strange things begin happening. Adam Scott and Toni Collette did well as the parents. Emjay Anthony plays Max and is very believable. Conchata Ferrell, the great-aunt, is great. (She played the housekeeper in the TV show "Two and a Half Men"). Yes, of course it gets creepy and scary. Yes, there are a few gory scenes but it is not dwelled on. Yes it is rated PG-13 but please don't bring young children.